A storm drain isn't the place for ducklings, especially when they've been separated from mama duck. A couple of Hillsborough County deputies saved the day. BRANDON, Fla. — A storm drain isn't the place for ducklings, especially when they've been separated from mama duck. Few high-pitched baby cries were enough to capture someone's attention Monday morning at Westfield Brandon mall. The person called for help, and two Hillsborough County Sheriff's Office deputies came to the rescue. 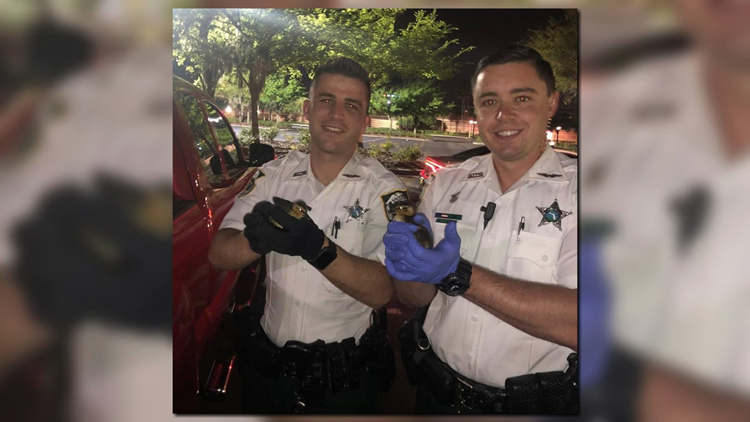 Deputies Cote and Suarez lifted the metal cover from the drain and were able to retrieve all nine ducklings. "Sometimes it’s a bad guy and sometimes it’s a duck," the sheriff's office said.